Gum disease is a common problem more than half of adults face in the United States. When the gums become inflamed and infected, it is vital you receive periodontal therapy in South Daytona to quickly treat the infection before dental and overall health is compromised. At Water’s Edge Dental, we offer many areas of specialty, including periodontal therapy and root canal therapy in South Dakota. We provide scaling and root planing to help prevent and treat gum disease. The simple procedure removes plaque and tartar accumulations through a nonsurgical deep cleaning. Often, many are not aware they have gum disease until it has advanced to the later stages. The early stages of gum disease, known as gingivitis, is easily treatable and preventable with the right care. As soon as you notice inflammation, bleeding, or redness of the gums, you need to contact your general dentist in South Daytona. Our team at Water’s Edge Dental will likely recommend the scaling and root planing procedure. We may also recommend it for those who also have increased risk factors for gum disease as a preventive measure. It is routinely used to treat more advanced stages of the infection as well. Healthy gum tissue should only be one to three millimeters in depth. However, when gum disease is present, gum tissue surrounding the teeth will develop pockets. Plaque, tartar, and bacteria become trapped in these pockets. If these pockets are not cleaned, gum disease will progress. To clean these pockets, scaling and root planing is performed. A special dental tool is used to remove the accumulations from below the gum line. After this is complete, the root planing process is performed -- which involves smoothing the root surfaces. Planing prevents bacteria, plaque, and tartar from re-adhering below the gum line. 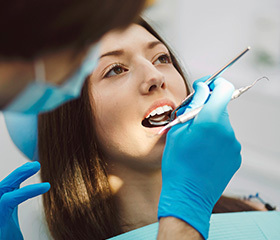 Once the procedure is complete, your gums will begin to heal and reattach. You will need a follow-up appointment to ensure the gums are healing correctly and the pockets are resolving. We may recommend the procedure is re-conducted at your next six-month preventive appointment. In some cases, you may need to visit our office more frequently so we can monitor the health of your gums. We will recommend some steps you can take at home to prevent the gums from becoming damaged again. You will need to brush your teeth twice a day and floss daily. We may recommend a mouthwash to help reduce bacteria levels in the mouth. You will also need to maintain your preventive appointments for a professional cleaning and checkup every six months. 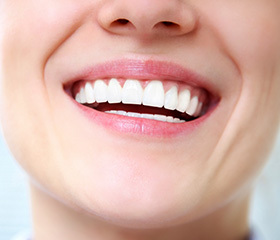 The health of your gums is vital to your dental health. If gum disease is left untreated, it can lead to the eventual loss of your teeth. However, your overall well-being can be impacted as well. Gum disease is directly linked to a number of health complications, like cardiovascular disease, diabetes, and others. 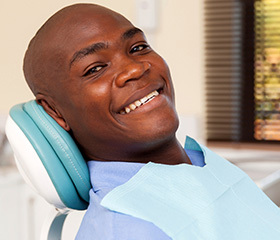 Do not let gum disease hurt your oral or overall health. Contact our office today to schedule an appointment for scaling and root planing.